Heather Higgins, Customer Service Engineer, is responsible for domestic customer service: processing and expediting orders, liaising with manufacturing and engineering on customers’ behalf and streamlining processes within the company’s customer relationship management (CRM) system. Heather joins us from MICROrganic Technologies, Inc, a start-up firm in Castleton-on-Hudson, where she was responsible for overall project management, business development, and market integration strategy. 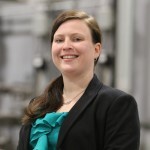 Heather holds a Bachelor’s degree in Civil Engineering from Rensselaer Polytechnic Institute. Nick Trotta, Sales Engineer is responsible for sales growth in the industrial process heating, power generation, mining and molten metals industries, working closely with Engineering and Product Development with the goal of innovating solutions to improve customers’ business performance. Nick comes to us from Bechtel Marine Propulsion Corporation where he was directly responsible for supporting system design, new construction and fleet operations of naval projects. Nick holds a Master’s of Engineering degree from Pennsylvania State University. 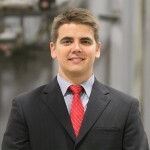 Dalton Divine, Development Engineer, is responsible for completion of projects in the development and commercialization of new materials and processes, initiating approaches and low-cost innovations to maintain technical leadership and working closely with the Manufacturing and Quality Assurance departments to investigate and solve material/process related issues. 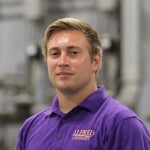 Dalton graduated from Alfred University with a Bachelor’s Degree in Ceramic Engineering. In addition, Dalton held internship and co-op positions with Ceralink and Alcoa, respectively.